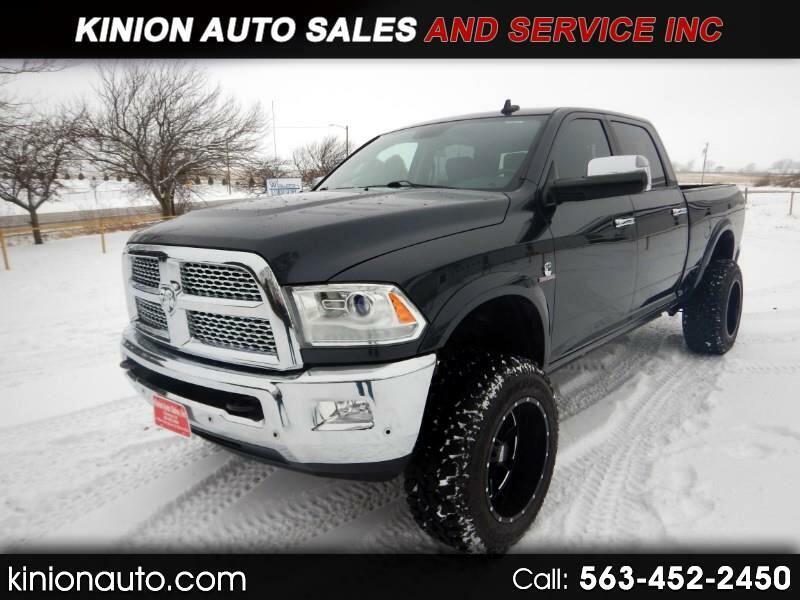 Used 2014 Dodge Ram 2500 Laramie Crew Cab SWB 4WD for Sale in Clarence IA 52216 Kinion Auto Sales and Serivce Inc. This 2014 Ram 2500 Crew Cab 4x4 Has the 6.7l Cummins Diesel Engine. This Truck is Fully Loaded With The Laramie Package! That Includes Navigation, Push Button Start, Sunroof, Heated & Cooled Seats, Heated Steering Wheel, Remote Start, Bluetooth Handsfree, and New Wheels and Tires! This Truck is Lifted With Fox Float Shocks With Remote Reservoir and Amperage Running Boards That Come out When You Open The Doors! This is a Rust Free Southern Truck! Come Check This Beautiful Truck Out Today!! !